World Wide Menu offers contemporary, unique and highly designed brushed metallic collection of covers that can be customized according to customers’ specifications, for example, by executing embossing work with logos. With a touch of metal finishing, a sophisticated look is created for brushed metallic menu covers. We create a wide variety of brushed metallic covers with many color swatches, sizes, styling, textures and shapes. These products render a stylish appearance and are designed with silk moiré lining making those sturdy and highly durable. Brushed metallic covers can also be given own exterior look with the help of foil stamping and other arts. Available in shiny color shades with us, these are the best choice if you are looking for modish menu covers. A contemporary structure is provided to this collection and people will surely be in love with these at first glance. 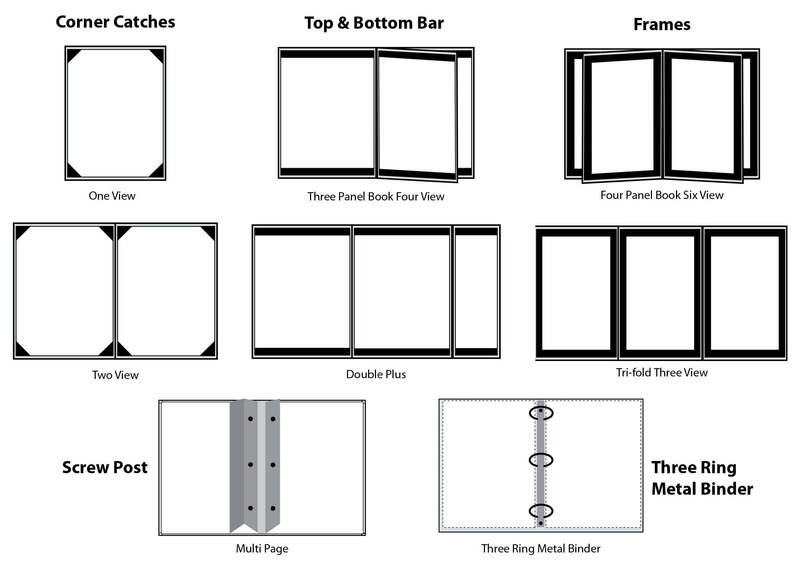 The various styles of these covers available with us are: one view and two view types with addition of corner catches, three panel book four view with top and bottom bar, four panel book six view with frames, double plus types with top and bottom bar, and tri-fold three view types with frames. A multi page menu cover with screw post and three ring metal binders are also obtainable. A simple looking menu cover can be transformed into a stylish and unique cover with the help of these style options. This is an easy and cost-effective way to increase attractiveness of one’s product. When products are presented in one or more of these styles and viewing alternatives, their value will be enhanced and people will notice them for good. This will help in establishing a brand identity thus making way for more business and sales.